Wikipedia has a good overview of Mendelssohn and the Reformation Symphony No. 5. Did you know that you can get many public domain music scores at IMSLP? 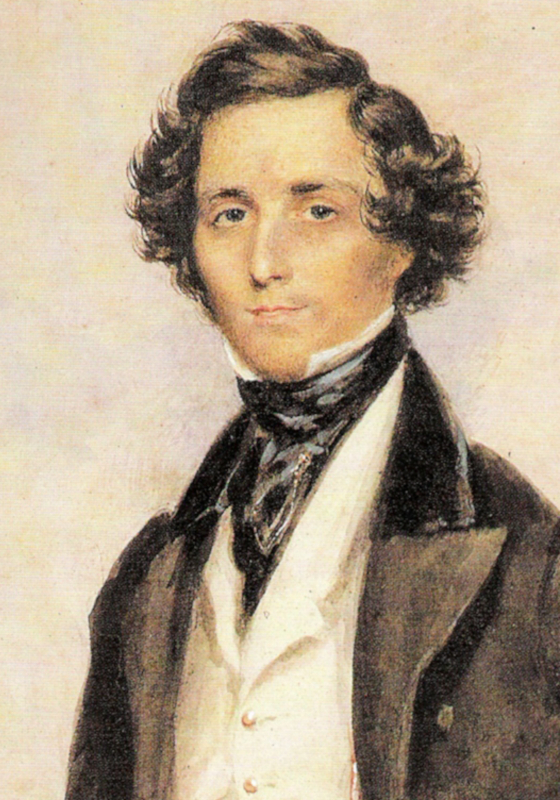 Here’s a link to the Mendelssohn. Wikipedia has a tiny article about Joyce Mekeel. Our conductor Richard Pittman recorded Mekeel’s music on “Premiere Performances by Boston Musica Viva” on the Delos label in 1975. It’s an LP, not a CD, and is listed on Amazon for $89! Further searching found a reissue on CD at ArkivMusic, for a reasonable $13. Aram Khachaturian has an extensive biography in Wikipedia. The article names him the “most renowned Armenian composer of the 20th century”. The Violin Concerto, written for Russian violinist David Oistrakh, has its own article. The Spectrum Singers join the orchestra for Mekeel’s Toward the Source and the chorus “From the Censer Curling Rise” from Handel’s Solomon. Stanford offers an online libretto for the whole oratorio of Solomon. The words for Mekeel’s Toward the Source are taken from historical documents of Concord, gravestones, lists of names, all from before the American Revolution.